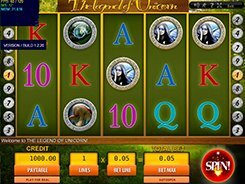 The Legend of Unicorn developed by Gamescale is an easy-to-understand slot with 5 reels and 9 paylines. 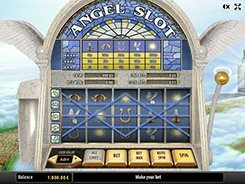 The slot offers a basic set of features that are typical of many five-reel games, namely, a wild symbol, a scatter, and a free spins round. The symbols have a fairy tale twist and include a castle, a snow-white unicorn, a big mushroom and other related icons as well as standard 9-to-Ace card symbols. 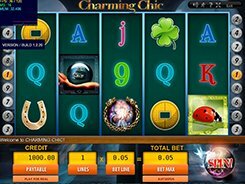 A player may change two betting options: the number of active paylines (anywhere from 1 to 9), and a bet per line ($0.1 to $5), thus the minimum and maximum stakes are $0.9 and $45, with all lines enabled. The Eagle is a wild symbol that helps complete winning combinations by substituting missing symbols. 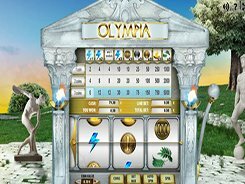 Besides, a wild serves as a wild multiplier that doubles payouts when used a replacement for other symbols. 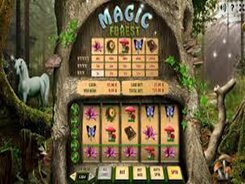 Five wilds landed on a payline award a 9000-coin jackpot that is equivalent to $45,000 on the maximum bet. 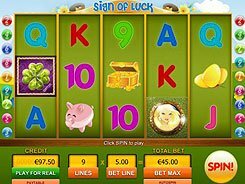 Three or more scatters occurred anywhere in view trigger 15 free spins with all wins tripled during the feature. PLAY FOR REAL MONEY!